The name “Triplicane” pronounced Tiruvallikeni by natural laws of linguistics, was crudely rolled and twisted out of shape by the English tongue as Triplicane. It is a place where religion, nationalistic fervour, patriotism, sports, education and the individual dignity have interspersed for the benefit of the State and the larger interests of the Nation. A peep in to the past – history is imperative to understand the pristine glory of this puranic place. Hence few lines on the capital of State – Chennai & the history of Triplicane, the existence of which far exceeds the Chennai and present conglomeration. Chennai is situated on the north-east end of Tamil Nadu on the coast of Bay of Bengal. It lies between 12* 9' and 13* 9' of the northern latitude and 80* 12' and 80* 19' of the southern longitude on a `sandy shelving breaker swept beach'. It stretches nearly 25.60 kms. along the Bay coast from Thiruvanmiyur in the south to Thiruvottiyur in the north and runs inland in a rugged semi-circular fashion. It is bounded on the east by the Bay of Bengal and on the remaining three sides by Chengalpattu and Thiruvallur Districts. The city of Chennai came into being due to a strategic necessity and historical accident. It in a way symbolises the rise of British power in South India by setting up and consolidation of the East India Company in the seventeenth century with its headquarters at Fort St. George in Chennai as a trading centre. 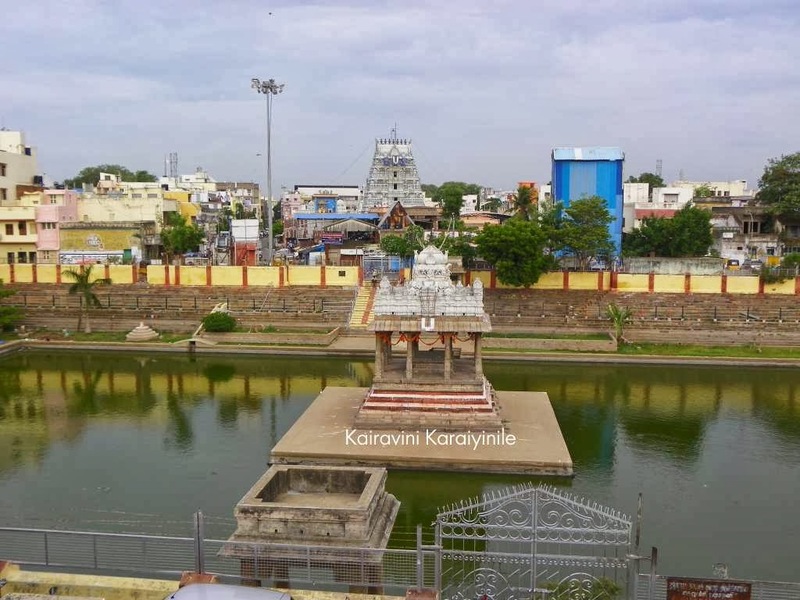 Within 350 years, a few scattered villages (important being Mylapore, Triplicane and Chennai Patnam) have developed into a modern metropolitan city without shedding its traditional customs, religious outlook and other traditions. It can be proudly remarked that the greatness of ancient Chennai is mostly religious due to the preservation of the old famous Saivaite and Vaishnavite shrines signifying the antiquity of the place. The growth of the city is significant and closely linked with the development of British Institutions and administration. In short, Chennai city was the chief centre from which the British rule expanded in the sub-continent and it remains a standing monument of British contribution to India. Chennai city has acted as an important centre of culture and education in South India and has been the cradle of many movements which have played an important role in the history of the sub-continent. The present day territorial limits of the city existed in the shape of scattered villages for centuries before the advent of the British. In the process of growth, many villages got agglomerated into a single unit. The shape and extent of the city which existed during 1939-40 was reached even during the opening years of 19th century. The period in between 1803 to 1827 represents consolidation and development of institutions. 'Kairavini Pushkarini' - the thirukulam of Sri Parthasarathi Swami Temple - a pond of lily flowers ~ which gave the place the name 'Thiruvallikkeni' .. the pond of lily. This lengthy description about the emergence of Chennai is necessary to understand correctly the pre eminence of Triplicane. To understand the emergence & existence of place, the aesthetically looking Sri Parthasarathiswami Temple stands a testimony. Again, the temple has a hoary past. Some even go the extent of claiming that it has existed for more than 5000 years now. Going by the stone inscriptions found in the temple and by the fact that it is sung by Pey Azhwar, Thirumazhisai Azhwar and Tirumangai Azhwar, it can safely be concluded that this temple has existed for a minimum of more than 1200 years now. There is inscription of Pallava King - Danti Varman dating (779-830); in effect Triplicane also has existed for more than 1200 years by now, if not more. Triplicane houses some best historic educational institutions driving home the point of scholastic excellence for decades. There is Presidency College (probably one of the first colleges in the province) There is – Hindu High School, Kellet High School, NK Thirumalachariar school for Boys & Girls, Lady Willington School to name a few. 3) Vivekanandar Illam on the Marina, Chennai, built 160 years back, has a long and interesting history All have heard about Icehouse but clueless about its existence. Well it is the same Vivekananda House. Mr. Frederic Tudor, the 'Ice King', built three houses in Calcutta, Bombay and Chennai to keep ice under proper insulation so that it could be stored for months together After the invention of making ice by 'steam process' in India, his business collapsed. Swami Vivekananda stayed here from February 6 to 14, 1897, and delivered seven electrifying lectures revealing his plan of campaign to restore India to her pristine glory. Now this place is Swamiji’s memorial vividly recalling the glorious past. 4) This was the seat of freedom struggle – Balagandhara Thilakar and very many patriotic leaders had delivered powerful lectures in Triplicane (Thilakar thidal at Marina beach) and inspired people in the freedom struggle. 5) Mahakavi Subrahmanya Bharathi lived in Triplicane and from this place freedom struggle germinated. 8) The greatest Mathematician – Srinivasa Ramanujam lived in this great place. 10) The list is long and winding with names of famous inspirational people like – V M Kothai Nayaki (freedom fighter and writer), VM Krishnamachariyar (great Vaishnavaite scholar) & so many others…..
Triplicane has been in the fore front of Education and has offered valuable technical education right from early years. Almost every street once had atleast a Typewriting Institute offering valuable training towards employment. Triplicane has produced many eminent Lawyers, great Doctors, Teachers and more importantly very responsible citizens. The adherence to rules and acting with responsibility are the very hall mark of the residents of Triplicane. Unfortunately, places of historical importance have been under attack on various fronts and irreplaceable, priceless assets lost to posterity. Protecting heritage does not mean protecting monuments alone but also should reflect protecting historical and important places. We, the residents of Triplicane appeal that this constituency should not be done away with in the name of delimiting and redrawing boundaries. TRIPLICANE Constituency should remain forever in posterity. PS : Draft representation made by me in May 2010 ~ presented by SYMA and various Organsiations of Triplicane to the Election Commission, protesting against the delimitation exercise merging the ‘Triplicane Constituency’ with Chepauk Constituency……… sadly, this too failed.